You will not be charged for linking your accounts and this will not affect the price of your insurance with us. 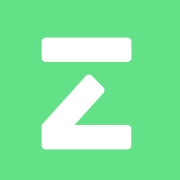 This is done automatically when you sign up with Zego. If it is not working, please make sure your email address and phone number for Deliveroo is the same as the information you use for Zego. Make sure you are signed in to the correct UberEATs account on your device. Open Zego and log in. Touch You on the menu at the bottom. Select the company you are working with. Follow the instructions on the Uber website to finalize your linking. If you are having trouble linking, please follow the instructions HERE or call us on 020 3308 9800. Please log in to your Stuart app and click on the ‘Zego insurance’ option. This will let us receive the hours that you work so we can insure you automatically. Log in to your Buzzhire app, and select the 'Business Insurance' tab (at the very bottom of the Profile section where you click your name). Next, click "Try Zego". You should be taken to an online page where you can enter your details and have your ID sent over to Zego. This will mean that we can receive the hours that you work automatically. If you can not see this button, you may need to update to the newest version of the Buzzhire app. Log in to your Quiqup app, and select the 'PAYG Insurance'. Next, click press ‘connect insurance’. You should now get a message stating that ‘you are already connected’. If you do not get this message, please contact us on 020 3308 9800 with your Quiqee ID and we will add this to your account for you. Select 'sign up with Zego'. Phone Zego on 020 3308 9800 to request your driver ID or policy ID. Enter your ID into the Insurance page of your CanUGo profile. Please phone Zego with your email address on 020 3308 9800. When you sign up to your work provider, you will be sent an email containing a link. If you do not receive this email, please get in contact with your work provider.